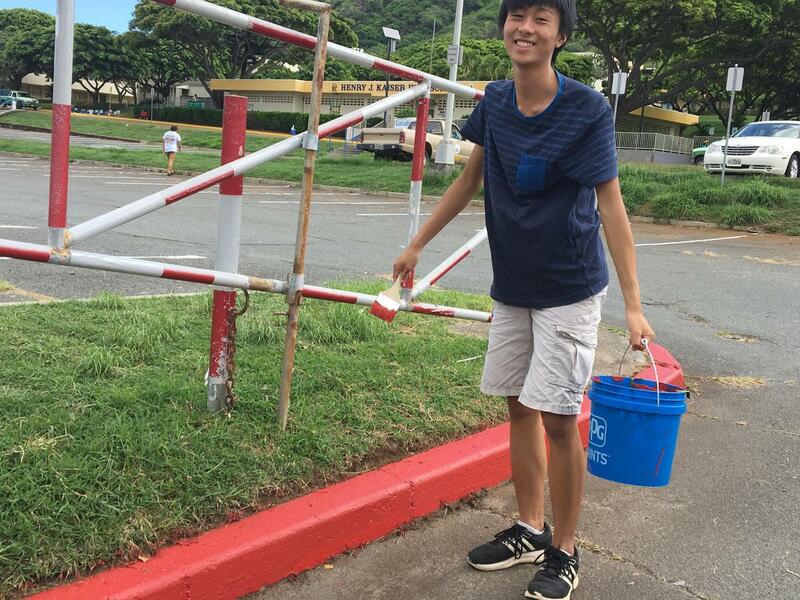 A fresh coat of paint that this. 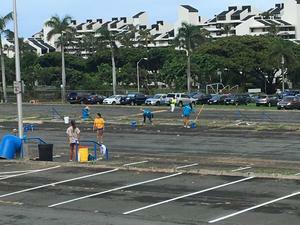 With the help of Hawaʻis 3R’s and Locations Foundation, Kaiser’s parking lot looks good as new! 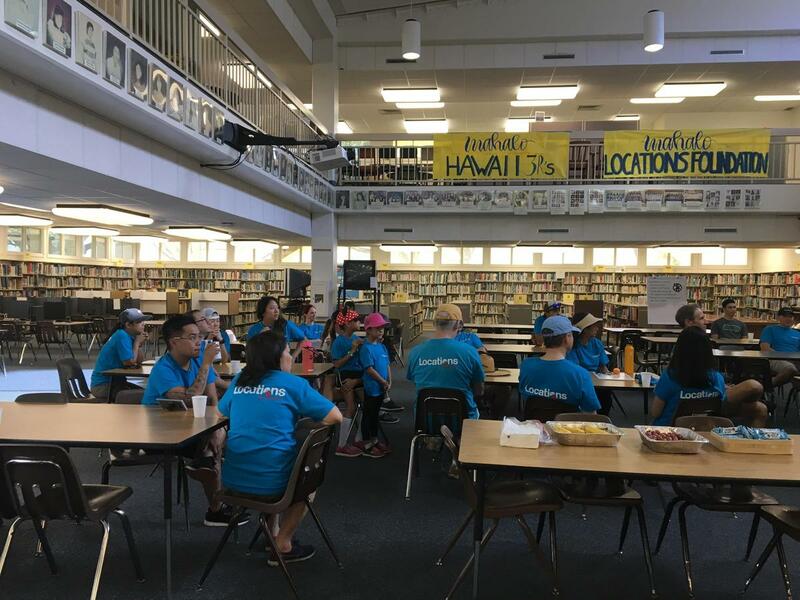 Every year Hawai'i 3R's - Repair, Remodel, and Restore our Schools, along with Locations Foundation chooses two schools to complete service projects. 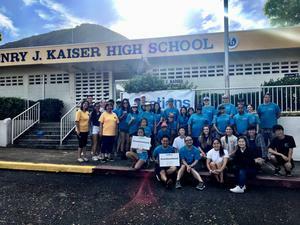 Kaiser High School is thankful to be one of them this year. 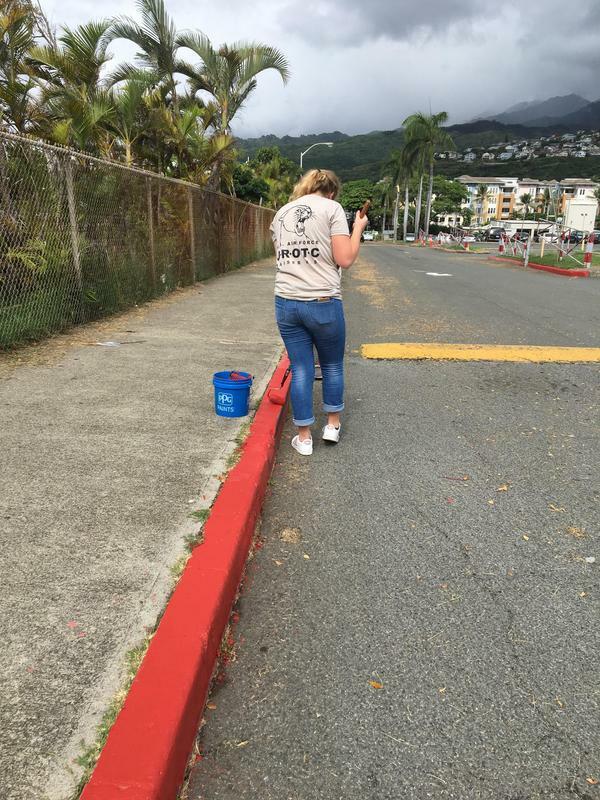 The much needed re-painting and striping of our parking lot had been on the project list for years. Hawai'i 3R's works with companies, like from Location Foundations, and volunteers to drive down costs and save our schools money. 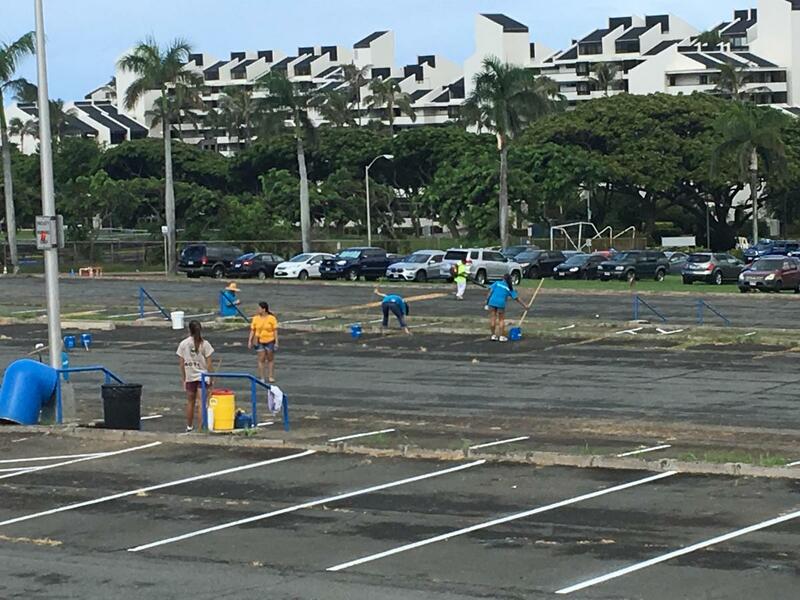 For example, the parking lot project would have cost $12,000. 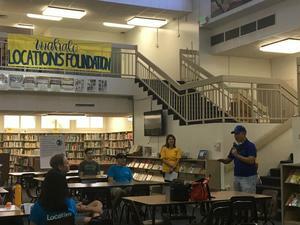 Locations Foundations provided a $5,000 grant. 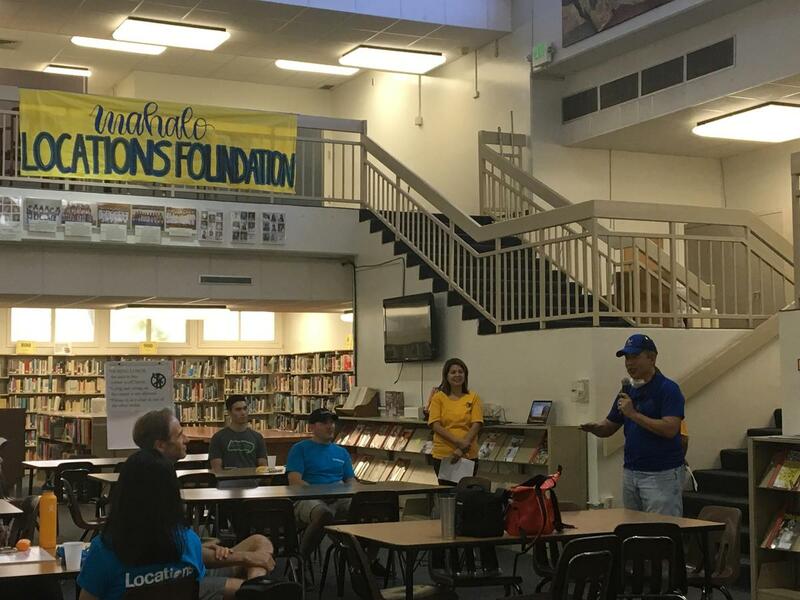 With sweat equity (volunteers), we saved the DOE $7,000 which could be used for more urgent needs. 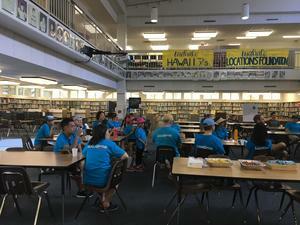 Hawai'i 3R's was created in 2001 by the late Senator Inouye who was appalled by the amount of backlog our schools have for repair and maintenance. 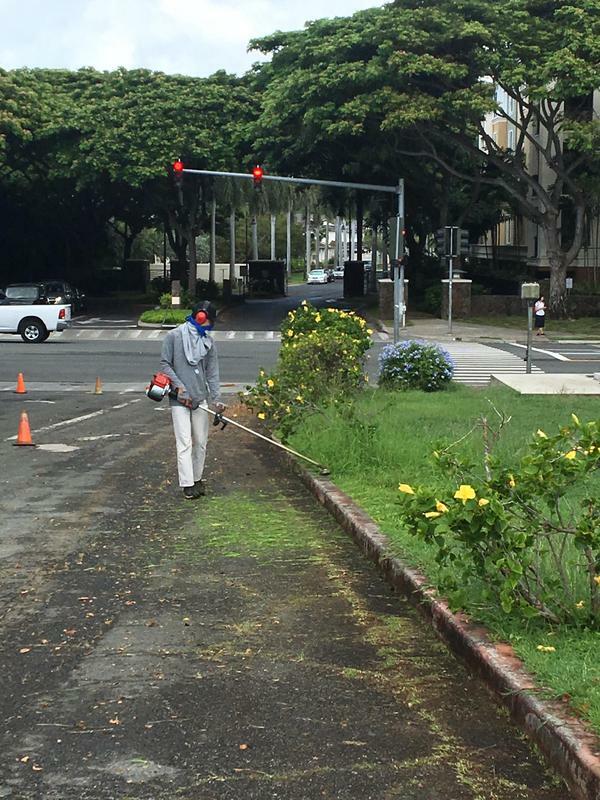 Since it's inception, they have completed over 500 projects, saving the state over $40 million. 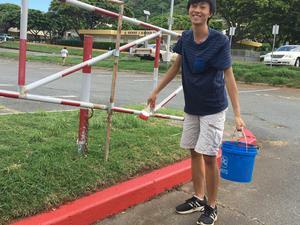 You can help Hawai'i 3R's by checking the Hawaii's Schools and Maintenance Fund on your tax returns. 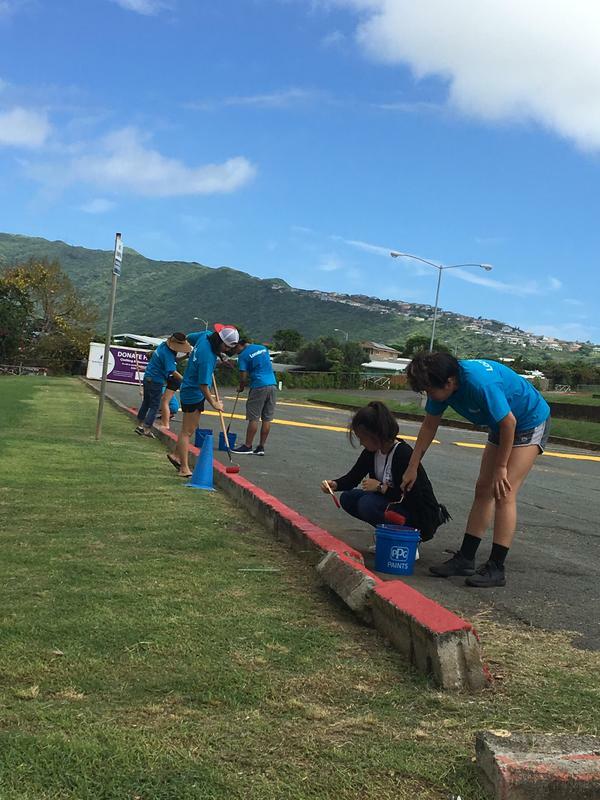 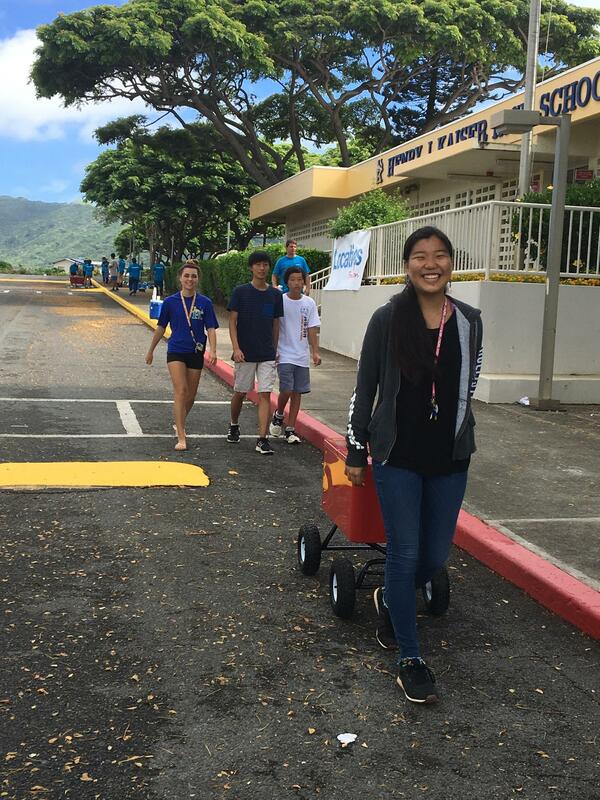 Mahalo to our Leadership teams who assisted with registration, water, weed - whacking and painting!